Philip High has primarily used Acrylics on Tyvek (a spun polyethylene paper/fabric hybrid) for his paintings since the mid 1990s. He has experimented with these materials as: paint on paper, collage, soft structure hangings and wrapped panels. His themes tend to be psychological and philosophical and his subjects are approached via formal issues of perception and a process-oriented abstraction. Varying levels of representation are sometimes introduced. High was born in Louisville, Kentucky and began studying art in high school. He attended the University of Kentucky in Lexington, where he majored in painting. Studies there also included two semesters of ceramics with John Tuska, whose professionalism and classical proficiency he sites as a lasting influence. In the habit of eschewing conventional routes, he left school a year before graduation to pursue a spiritual path. Shortly thereafter he moved to Atlanta, Georgia and was introduced to graphic arts. There followed 20+ years of continuing self-study in fine art along with the development of a career in graphic design and illustration. In the early 1980’s he became involved with computer graphics and in 1989 he returned to Lexington, Kentucky where he also began painting seriously again. He currently lives in Louisville, Kentucky. 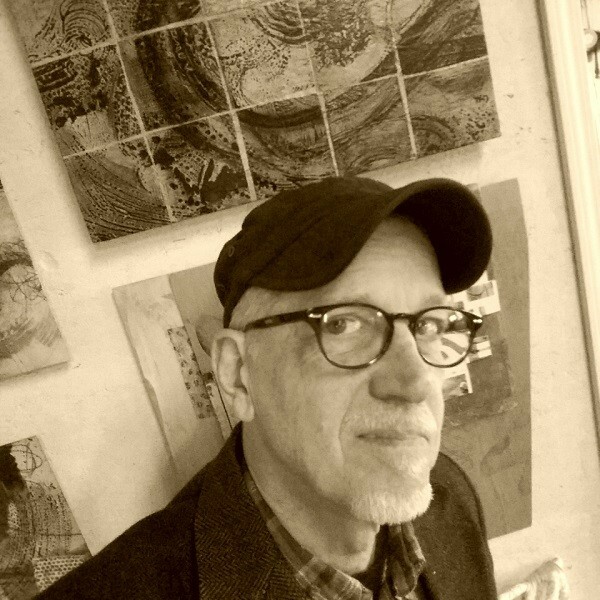 He has received several National and International awards for fine art and illustration created with a computer, as well as two Professional Assistance Grants from the Kentucky Arts Council in graphics and painting. His work is part of the permanent collection of Saint Joseph’s Hospital, Lexington, as well as numerous private collectors across the United States. In 2009 his painting “Heart to Run – Soul to Sing” was chosen for the 2010 World Equestrian Games, Spotlight Lexington Festival commemorative print.